The Elders, a group of prominent politicians from across the globe which have been tasked with promoting peace and reconciliation in the world, are scheduled to visit Israel and the Palestinian territories at the end of the month to add their support to the latest US peace initiative in the region. The Elders was set up by former South African President Nelson Mandela on the 18th of July 2007, on the occasion of his 89th birthday. The group consists of twelve prominent politicians, including former UN Secretary General Kofi Annan, former US President Jimmy Carter, former Irish President Mary Robinson and Archbishop Desmond Tutu. The Elders were scheduled to embark on a tour of the Middle East last August, but their trip was cancelled after Israel refused them entry into the Gaza Strip. But now with US President Obama keen to kick-start the Middle East peace process, it seems that this time the group will be given the green light for their visit, albeit not for the Gaza Strip this time around. Quote: "The Elders’ delegation will be led by former Brazilian President Fernando Henrique Cardoso and will also include Ela Bhatt, Gro Brundtland, Jimmy Carter, Mary Robinson and Desmond Tutu. They will be joined by business leaders Richard Branson and Jeff Skoll who, with others, helped to establish The Elders’ organisation and continue to support their work. The Elders arrive in the Middle East amid important efforts to restart peace negotiations between Israelis and Palestinians - and they fully support these efforts. However the Elders also emphasise that they are playing no role in the diplomatic process, nor do they seek to do so. The focus of their visit will be to support all those working for peace and to listen to the concerns of those on both sides who are affected by the conflict. The Elders recognize that people have been disappointed by failure to secure a lasting agreement in the past and although the majority of Israelis and Palestinians want peace, and agree on a two-state solution, experience has made them skeptical that agreement can be reached. While the aim of the Elders is to promote peace and reconciliation in the world, its difficult to see how that can be achieved when you have men such as Kofi Annan and Jimmy Carter at the helm. The former UN Secretary General blasted Israel for its part in the Second Lebanon War, accusing the Jewish state of "deliberately" targeting Lebanese civilians and bombing UN buildings. It was later revealed that most of the 'massacres' Israel was accused of causing were staged by Hizbullah for the benefit of the Western media. And official UN documents subsequently revealed how that Hizbullah fighters were able to fire Katyusha rockets at Israel from within the perimeter of UN compounds, hoping either to protect themselves from an Israeli retaliation or to provoke another Israeli 'massacre' for propaganda purposes. When speaking of the Hamas coup of Gaza which resulted in the deaths of hundreds of Arabs including many civilians, Jimmy Carter praised Hamas for being more organized than their Fatah brothers, exclaiming that their fighting techniques showed "superior skills and discipline". He described the elections which brought Hamas to power as fair and free, and decried the isolation of Hamas by the international community as "criminal", following their refusal to renounce violence and recognize Israel's right to exist. In his book, "Palestine: Peace not apartheid", Carter accused Israel of being an apartheid state which oppresses the Palestinian people in their own land. While ignoring the half-dozen Arab wars which have sought to wipe Israel off the map, and the ongoing Palestinian terrorism which has so far prevented any peace agreement from being reached, Carter lays the blame for the conflict at Israel's feet. "There will be no peace until Israel agrees to withdraw from all occupied Palestinian territory", he says, as if all the Arab terrorism against Israel is somehow justifiable. Of course, strictly speaking, 'all occupied Palestinian territory' includes what is presently termed the 'West Bank', all of the state of Israel and all of Jordan. So exactly which territory does Carter want the Jews to give up? Yes, Israel will have its work cut out when Elder Carter and Elder Annan visit the region. As you can see, rather than promoting peace and reconciliation, these Elders, along with the backing of Obama and the international community, will actually be pushing Israel into a corner. But that's the way it must be. For the Bible states that half way through Daniel's 70th week, the land of Israel will be divided (Daniel 11:39), and the Gentiles will tread east Jerusalem underfoot for three and a half years (Revelation 11:2). Unfortunately Carter doesn't know his Bible very well, for there will be no peace. The Bible states that at this point in time, the greatest period of persecution the Jewish people have ever experienced will commence. World leaders have absolutely no idea what is to take place once they covenant to divide God's land. In reality, there will be no peace until Israel is willing to say, "Blessed be the King that cometh in the name of the Lord", Luke 11:35. 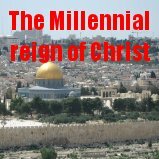 The day that national Israel is willing to say that will be the day that the Lord Jesus Christ will return to save them from its enemies and to set up His Millennial Kingdom. And "of the increase of His government, and of peace, there shall be no end", Isaiah 9:7. Do you know peace in your heart? Jesus Christ is the only one who can give you true peace. Only through His sacrifice upon the cross can we obtain peace with God (Colossians 1:20). Jesus Christ is the only one who has the power to forgive sins. 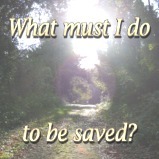 Why don't you trust Him for salvation today.